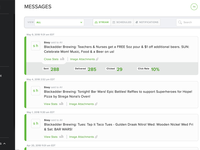 Any business or non-profit that needs to send out group texts or SMS marketing. Some examples include: churches, restaurants, corporations, real estate, and more. Pros: TXTsignal is extremely usable. Design matters, and no how good a piece of software might be underneath, if you can't understand quickly how to do common things, none of the rest matters. TXTsignal's design is clean and modern, and while there are a few things I'd like to see tweaked, it is very solid, and in all important aspects, very good. I have had occasion to reach out to the service team, and they are always prompt, courteous, and they clearly understand their product. They have helped me find what I needed quickly, within a matter of hours and never later than the same business day. My use of the software requires privacy for my users, and that includes not selling their data off to third parties or advertisers. As far as I can tell from my research, TXTsignal is one of the few companies that do not mishandle my user data or contact details. They have it in writing, and given the data environment we find ourselves in, that's something that matters to me. Cons: Perhaps it's unfair to have so few complaints, it seems forced. But the reality is that the only issues I've ever encountered with the service had more to do with how much it could do, and me not fully grasping the scope of what was on offer at times. I've had to contact support to explain a few things, and often it turned out that my use of the software was just a more simple case, and I was making it more complicated. Overall: I have a small team of folks who need fairly regular updates about a shared project (the nature of it is readily identifiable and somewhat sensitive, I apologize for the lack of detail), and TXTsignal has made that communication much easier. We tried Slack but for some of the team that was too much overhead (not all team members are technical), and we tried a shared Signal group but there were a number of logistic reasons why that did not really pan out. TXTsignal allowed an administrator to really manage what messaging was going out, who was responding for whether they could be present or not, and provided exactly the right level of technological involvement for a variety of user proficiencies (simply receive and respond to texts is something any of our crew can handle). Pros: The software is very easy to use. 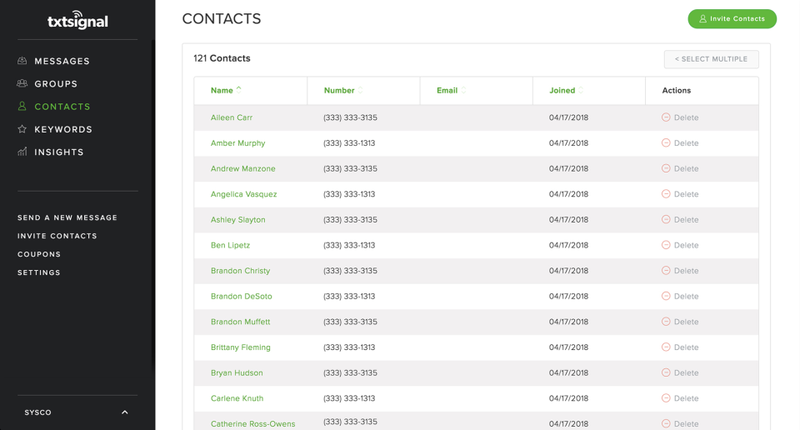 Adding contacts is simple and the ease of self signups is wonderful. Sending messages which can also post to social media is a big plus for us. Cons: We have been a customer for MANY years and I have never had a complaint. When issues arise (and it's been just a time or two), they're quickly resolved. 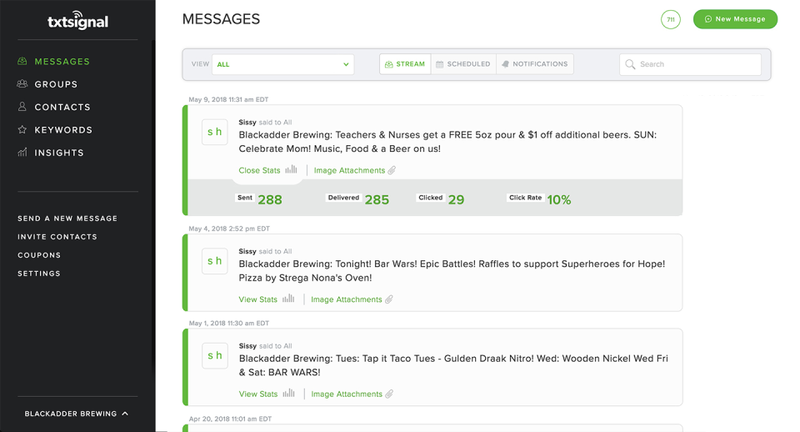 Overall: txtsignal helps us reach our audience in a way that's critical to our business. Everyone has a phone in their hands. This allows us to connect to everyone - instantly! The customer service is the best. I've always gotten an email or even a call back when I have questions. They're very quick to respond to any need I may have. I just don't feel like I could get this kind of service with anyone else! Overall: txtsignal has been a great tool. They don't have everything some of the bigger companies have, but for the price and the personal touch it's been more than worth it. Pros: I like the fact that I can post pictures to the text messages. We have a restaurant and food pictures are important. Cons: I have to select who I want to send messages to. Wish it would just be a default all unless you change it. Overall: I've been with them for many years and have rarely had any problems. If I do, they are quick to respond and resolve the issue. Pros: The feature to schedule messages in advance and attach pictures has been AMAZING. I love having everything logged so there is a paper trail of what has been discussed, as well. Cons: The mobile version won't let me look at, much less text to, individual numbers. Only groups. Overall: This works great for reminders, though I always use it as a secondary or follow-up communication resource (not the initial send). Pros: We use this every week, and it has worked very well for us, in fact it's works so well that other departments started using it as well to advertise and market. Cons: Because it is software as a service, it gets a little expensive to use. Also, it would be nice if they had a smart phone app. Overall: We've had great success with it, however it is a little expensive. 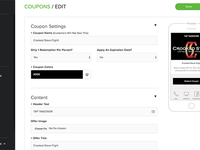 Pros: Participants could opt out anytime very easily. Cons: The interface has always been clunky and non-intuitive. Pros: What I like most about this software is that it is very user-friendly. Cons: What I like least is the maximum number of characters allowed per message. Overall: Overall, I have had a great experience with using the system and with the customer support provided, when needed. Pros: So easy to use! The members of our church love the simplicity of it. Cons: Wish it was an app that could be accessed from a smart phone. Overall: Nothing but good things! TxtSignal was great to work with! Their service helped make our communication project professional. Pros: I love how user-friendly and intuitive their software is. We didn't have to spend time learning how to operate it - as soon as we set up an account, every feature was ready to be used. Cons: Honestly, there wasn't anything I disliked about their software. Their software is so easy to use and dependable. 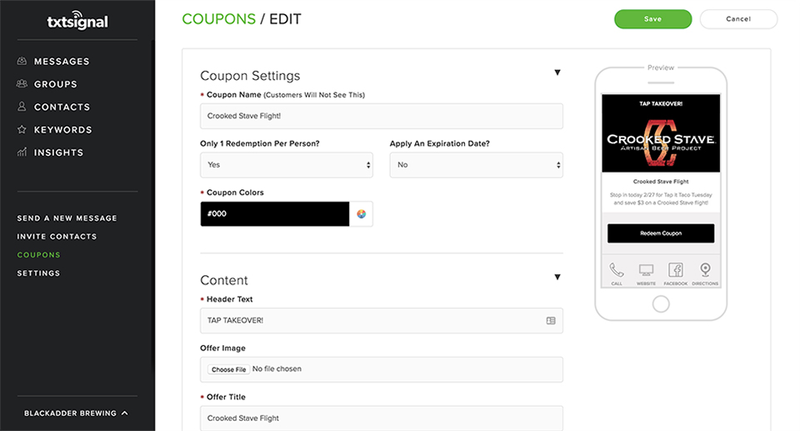 Pros: Easy to use, can reach our audience with a single click. Cons: Maybe if the mobile version of the site was better. Overall: Have enjoyed it overall! Pros: Txtsignal is a great concept which is easy to use. 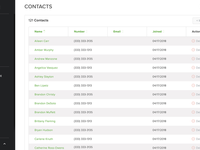 Once you have entered your contacts manually or by having them enroll, it is so easy to use the platform. I use the program all the time and am appreciative of how simple it is to use. Cons: For what I pay each month to use txtsignal, it does all i expect it to do. Overall: Overall I am satisfied with txtsignal. It does all I expect it to do. It is simple, but simple is good in today's complex world. Pros: The ease is great. I am able to quickly send messages to my parents, etc. Cons: Nothing. I am enjoying the product. It has been great. Overall: Very professional, helpful and they resolve issues in a timely manner. Pros: Easy to setup for segregating different text recipients and classifying unique messages for each separate group. Overall: We are able to send out and receive regular text messages and project updates to targeted audience.